Do you live in Woodbridge? Are you currently dealing with a family law dispute? If so, contact a Woodbridge family lawyer at Radley Family Law to learn how we can stand up for your rights and help you resolve your dispute in a quick and effective manner. Rachel Radley’s clients turn to her team because of their extensive experience dealing with divorce, spousal support, child custody and access, child protection, and other complicated legal issues. Prior to launching Radley Family Law, Rachel Radley spent almost a decade working as supervising counsel for the province’s Family Responsibility Office (FRO). This important organization helps families around Ontario by collecting and distributing child and spousal support payments, and operates as part of the Ministry of Community and Social Services. Rachel’s experience with the FRO provides our team with unparalleled insight into the organization’s inner workings, which is a great help in developing and securing fair and beneficial support agreements. Since moving to private practice, Rachel Radley and her team at Radley Family Law have represented clients at all levels of court, including the Court of Appeal, Divisional Court, Court of Justice, and Superior Court of Justice. Our team has appeared in courthouses in Toronto, Brampton, Markham, Oshawa, Barrie, and Newmarket. If you have questions about your specific case, don’t hesitate to contact our team today. 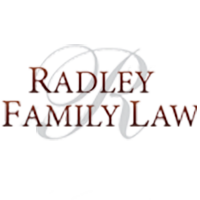 Although Radley Family Law has expertise in a diverse array of family law issues, including child custody, access, and support, we are particularly reputable in the area of divorce law. This includes all facets of the divorce process, from separation agreements, to division of property, to spousal support. We also offer uncontested divorce services to couples who have decided to amicably terminate their marriage, and alternatives to court for couples who would prefer to settle their differences with the help of a mediator or arbitrator. We also understand that divorce is a difficult time in an individual’s life. When two people get married, they expect to spend the rest of their lives together – when this arrangement breaks down it can cause hurtful and long-lasting wounds. At Radley Family Law, each Woodbridge family lawyer is sensitive to the significant emotional and financial harm that a divorce can cause. That’s why we aspire to provide compassionate, understanding service to our clients, while standing up strongly for their rights and working tirelessly to ensure their best interests are represented in court. Radley Family Law’s team of family lawyers is happy to provide free consultations to clients dealing with issues of divorce, child custody or access, or any other family law-related issue. Call us today at 905-669-2109 or fill out our online form to set up an appointment today. Working out of our head offices in Vaughan, Ontario, any Woodbridge family lawyer on our team is prepared to help you work through this challenging time in your life.